Now Vodafone has seized the initiative by drawing up a list of rules aimed at preventing its ads from appearing on outlets that create or share hate speech or fake news. The mobile-phone giant worked with WPP, Google and Facebook on its new guidelines, which include a whitelist of outlets that have been identified as "highly unlikely to be focused on harmful content". Vodafone chief executive Vittorio Colao explained: "We will not tolerate our brand being associated with this kind of abusive and damaging content." Traditional media owners have welcomed the move, contrasting their trusted inventory with the "Wild West" of the online world. Other leading brands are expected to follow Vodafone’s lead, according to industry sources. Andrew Griffith, group chief operating officer at Sky, says this flight to quality by brands demonstrates the "enduring strength" of a "highly regulated, transparent and brand-safe environment" such as TV. Media agencies say that, in the short term at least, it can make sense to adopt a "whitelisting" approach as online platforms battle to restore trust and improve detection tools to spot rogue or extremist content. Steve Taylor, chief product officer at Hearts & Science, says: "It’s our job to ensure that the value of the brands we represent is not diminished by association with content that is contrary to the brand’s values." However, Victoria Chappell, marketing director, EMEA, at Integral Ad Science, which works to monitor and measure online content, warns that whitelisting can be an overly blunt method that risks reducing a brand’s reach and scale. "You could discount a range of potentially impactful placements that are brand-safe but not within your whitelist," she points out. Experts recommend that brands review their rules and whitelists often and implement them with care. Gavin McLauchlan, business development director, media and entertainment, at GfK, notes that there will always be a lack of definitive measures to determine what a "safe" environment looks like. A whitelist could help but, ultimately, brand safety is always likely to involve some human judgment. "Using a whitelist in isolation is not the best way to address brand-safety challenges. Using a combination of blacklists, whitelists, keywords and page-level analysis is the best and most flexible solution for each brand’s unique parameters." "Such rules need to be implemented very carefully and reviewed regularly. The industry lacks definitive measures to identify what a safe environment is – and what constitutes ‘safe’ may differ across brands and over time." 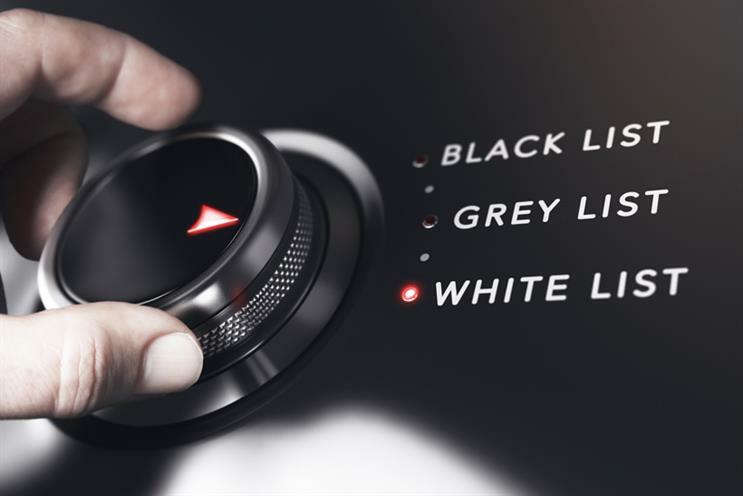 "Being forensically selective about building inclusion lists offers advertisers the greatest possible assurance that their ads will be appearing in a brand- safe environment." "Whitelisting is a powerful brand-safety tool. It does, however, come at the cost of lost coverage. Ideally, an advertiser should be able to analyse the content and context of every page programmatically at the pre-bid stage, using third-party tools." Is Ogilvy up for British Airways' creative challenge?